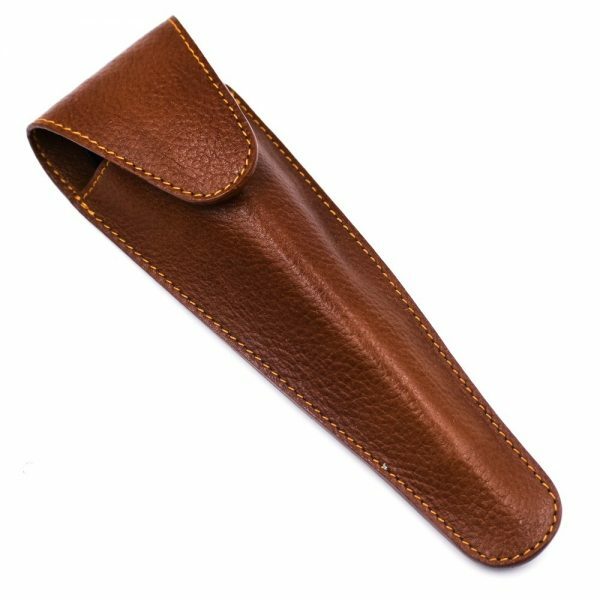 Parker's rich saddle brown genuine leather razor sheath will protect your long-handled cartridge razor (and your fingers). 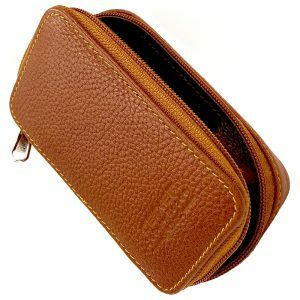 Parker’s rich saddle brown genuine leather razor sheath will protect your razor (and your fingers). 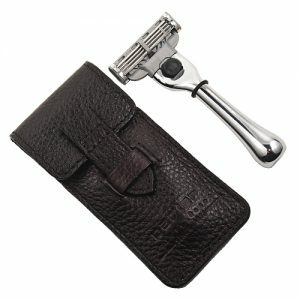 It holds long handle cartridge razors, such as Gillette Fusion, Sensor, and Mach 3 handles. 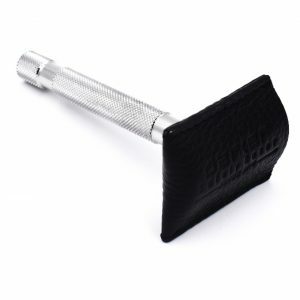 The lid snaps closed to keep your razor secure. 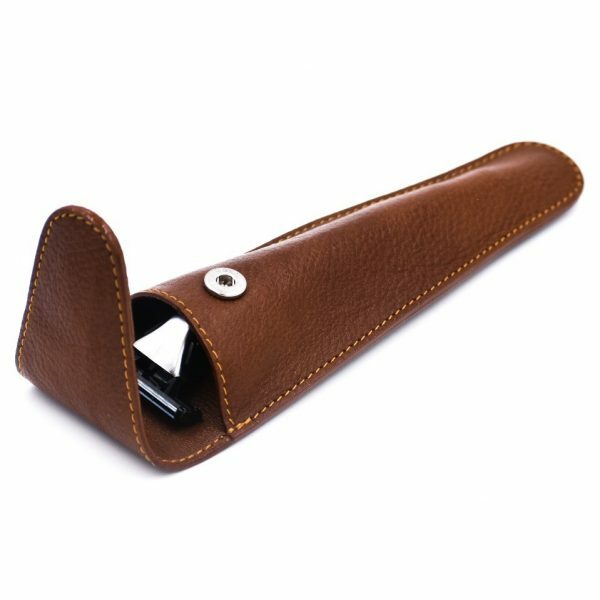 Why not protect your investment?